I make a bunch of kits that can be bolted on to your existing Brompton to improve the gearing and brakes, or I can custom-build you a Brompton from scratch. 14-speed Rohloff hub gear kit – The Rohloff is the ultimate gearing system, a very wide range and incredible reliability and efficiency. 8- and 11-speed Alfine hub gear kits – The Alfine hubs are good quality hubs which can also have a disc brake. 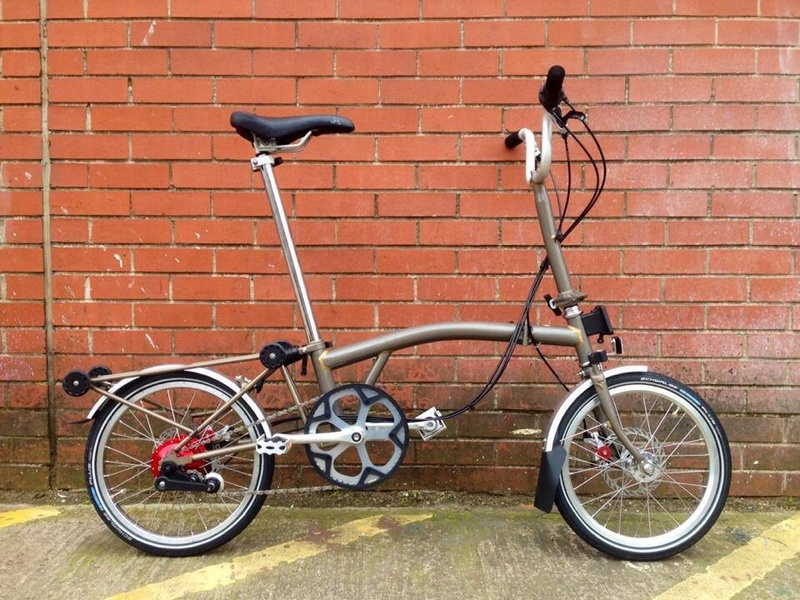 Custom Brompton Order Form – Build up your dream Brompton! 8-speed Sturmey Archer hub gear kit – The Sturmey has a decent range, but the big advantage it it fits unmodified Brompton frames. Duomatic kit – A simple, minimalist kit that fits to unmodified Brompton frames to give two gears and a back-pedal brake. Disc Brake Kits – For much,much more powerful braking, and no more worn out rims. Electric Assist Kits for a bit of help with hills and headwinds. Front Pannier Racks – To carry normal panniers on the Brompton front luggage block. Custom Forks & Rear Frames – To do it yourself! Hi. Will your 8 speed conversion fit a 1995 vintage Brompton? It’ll be a bit of a squeeze because bikes of that age are 112mm not 115mm – but it will go, or you can bend your frame slightly to suit. Hey Ben. 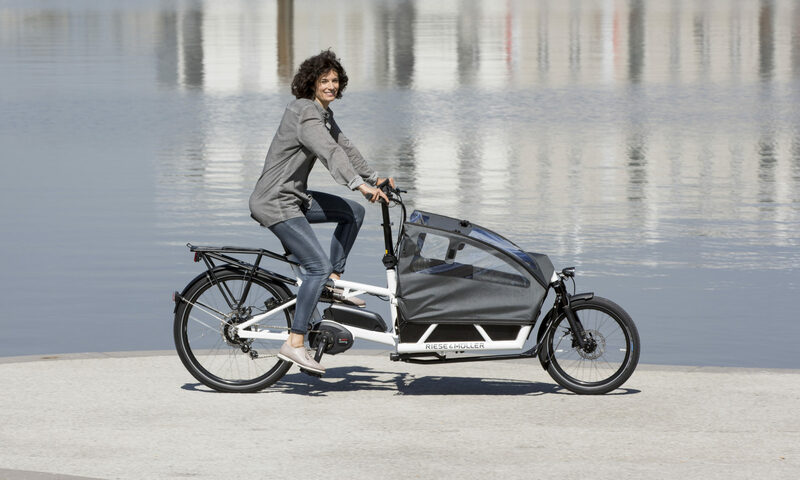 Brompton has introduced a new colour in 2018 – Raw Black Lacquer. Have you tried matching it yet for a rear rack / front fork? According to my powdercoater, it might be possible – but the raw lacquer finish looks a bit different on stainless steel anyway, it’s pretty hard to get an exact match. I bought the rear rack with Rohloff speedhub. I did all the stuff by myself – not too difficult but twice a time the Allen key broke. I am riding your alfine 11 conversion now for a year and your Rohloff kit for almost half a year. I am still thrilled about the improvement of your conversions. is a kind of an art, an eye catcher indeed. hills included on my way. I can only confirm that these conversions turn the bike into a grown-up touring bike. I do not need no other bikes. Thanks a lot, for these fantastic conversions.